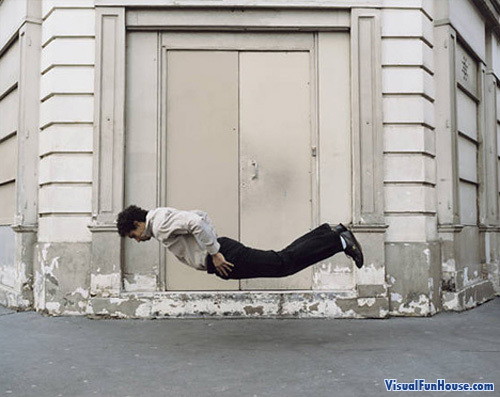 4 Feet from Death is a Floating In Air optical Illusion is some pretty Incredible Photography. 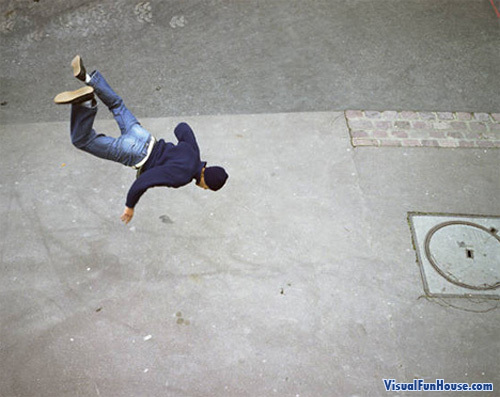 Have you ever seen such a crazy picture, the guy is levitating inches above the street, or captured as they fall to their death! This is also known as freeze frame photography, the photo is taken at a super fast shutter speed that freezes motion in time. 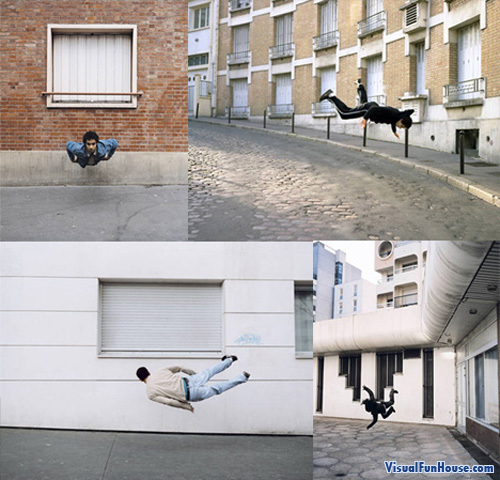 Each one of these artists took a slightly different approach to the shot, using still freeze frames as well as video; In the end they all turned out spectacular!! The above photo was shot in Paris, I’m not sure about the others. wow, look like floating men XD! hah yea its a crazy looking effect, i love it thoe. super cool!